Okay, so yesterday’s post was a bit of a cop out – but I have a good reason! I’ve been busy being sick, though I’m getting over it now. I’ve been hanging out, drinking juice and watching Dexter on Netflix – that’s one way to handle getting sick. I have, however, missed a day in my year and a day. But seeing as I’ve been doped up on cold medicine, it doesn’t surprise me. I’ll be back in fighting form soon, promise. Seeing as we are nearing Imbolc, it’s only fitting to talk about the Maiden Goddess. 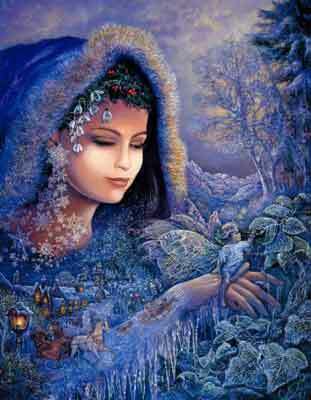 At this time of year, the Goddess has given birth (at Yule) and now renews herself, preparing for the coming Spring. The Maiden is the bud of creation, she is raw potential ready to create or to destroy. She is youth, energy, and possibility. She is often a virgin goddess in many mythologies – do in part to her innocence, but also her fierce independence. The Maiden is strong, charismatic and likes to provide for herself. Being virgin, however, does not mean that she rejects her sexuality. Instead she is comfortable in her sexuality; understanding it as an important part of herself. Some examples of Goddesses usually categorized as Maiden are: Pandora, Arachne, Kore, Tana, Flora, Athena, Brigid, Gaia, Blodeuwedd, Ostara, and Persephone (though I don’t really put her here). As we draw nearer to Imbolc, I’m sure I’ll have more to share about the Maiden. I’ve never really got into meditation. I use guided meditations sometimes before/during ritual, but never really on a daily basis. In doing this year and a day program, I’ve come to the section of days dealing with meditation and meditation techniques. I think this is good for me. I’ve always wanted to do more with meditation, but haven’t ever sat down to find and explore different methods that would work for me. Roderick’s book, however, is prompting me to do just that. I’m also looking into drumming meditation. 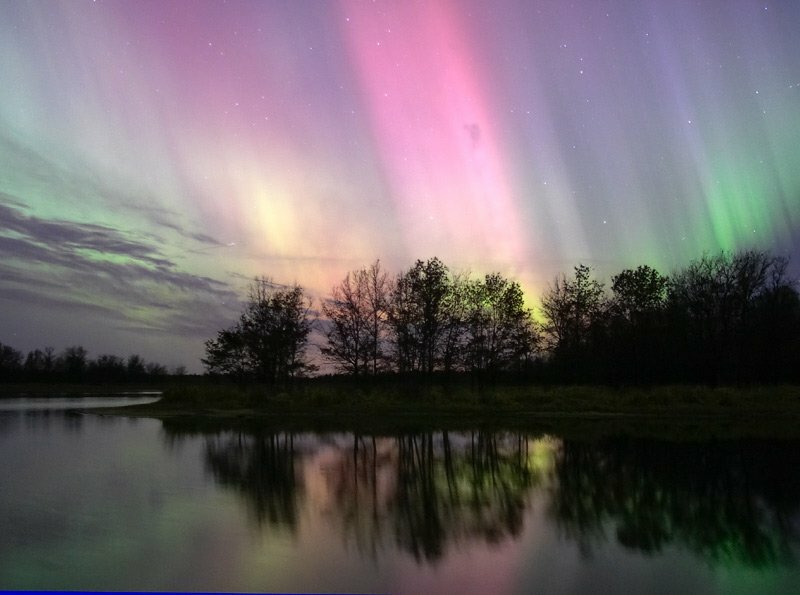 Drumming at about 220-240 beats per minute actually brings about theta brain waves – this is a seriously relaxed state, just before delta (sleep). This is the drum beat used in shamanic journeying as well. I’ve never used it outside of that setting, but I’m looking into it. As I mentioned before, I’m working my way through Roderick’s Wicca: A Year and a Day. Days 2 and 3 go together and deal with exploring words. The “hot button” kind of words, like “Wicca”, “Witchcraft”, “Pagan”, “Magic” and so on. The exercises for those days deal with confronting our understanding of and feelings toward these words. He asks that you choose one emotionally charged word that captures your “theme” regarding these words, inscribe it on a candle, and reflect on transforming the feelings you have towards this word/concept. You should “vow to remain aware of your feelings during your learning” period. As the word melts away with the candle, you should imagine your feelings/concepts toward it changing as well. The word I ended up choosing was “stereotype” because I think that is the one aspect of my faith that I’ve never wanted to confront or embrace. On the one hand, stereotypes are often negative or focus on the flamboyant/ostentatious members in groups. And these members rarely are the majority. But stereotypes aren’t always negative, sometimes they are positive or (more likely) neutral; for example the stereotype that “all Lutherans like Jell-o” isn’t really positive or negative. Stereotypes can help us, psychologically speaking, understand, classify and approach other groups. I have a lot of negative feelings attached to the stereotypes surrounding Wicca/Witchcraft/Paganism. On some level I want to embrace them. I want to be the person who says “yeah, I’m unorthodox; yeah, I’m different; yeah, I think ‘strangely’ according to society; so what?” Sometimes I really want to be that person. Sometimes I kind of hate that person – those are the “crazy” people that the media latches onto and portrays for the world to see – I sometimes wonder if they realize the trouble they cause for the rest of the community. As this year and a day progresses, I’ll be sure to tackle my issues with the stereotypes that surround Wicca and Paganism. Now, I’ve been a practicing Wiccan for a long time – over 10 years, in fact. Most who come to Wicca go through a dedication period, either alone or with a coven. The generally accepted period of time is a year and a day. Mine was much different – there were 7 years between my dedication (age 9) and my self-initiation (age 16). I never have worked with, or been interested in working with a coven, so I wasn’t really confined to a year and a day format – obviously. During this time, I focused first on Esbats. Like many Wiccans, I found the Goddess to be fascinating. My first year, I actually didn’t formally celebrate any of the Sabbats. I just wasn’t ready for that. Eventually, I added the Sabbats as I became more and more comfortable and familiar with their meanings, their symbols, and their importance. I began to wonder if I missed something by not using a year and a day format when I was maybe 14. After watching a few videos recently by ladylunaskye‬‎ I went back to wondering. Well, I just decided to do it. 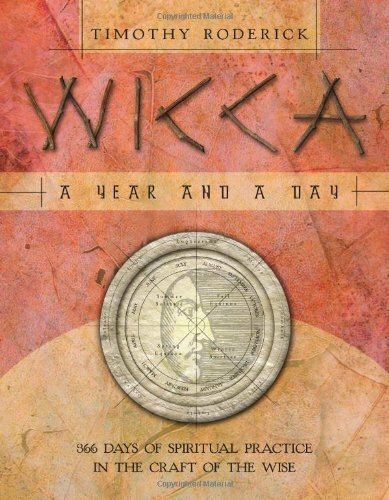 I found a copy of Wicca: A Year and a Day from Amazon for pretty cheap. It showed up today in the mail and I’ve started diving in. I don’t know if I’ll write an entry for everyday, but I’ve started a hard copy journal. I’m excited to see what I can learn from this journey and to see how it interacts with the 2 year shamanic apprenticeship I’ll be starting in a few months. So, I’ll be deepening my understanding of my path and I encourage everyone to do so from time to time – to go back to basics, so to speak, and remember the things we so often take for granted.